Enter a whole new world when you put on a virtual reality headset at APEX Virtual Reality! 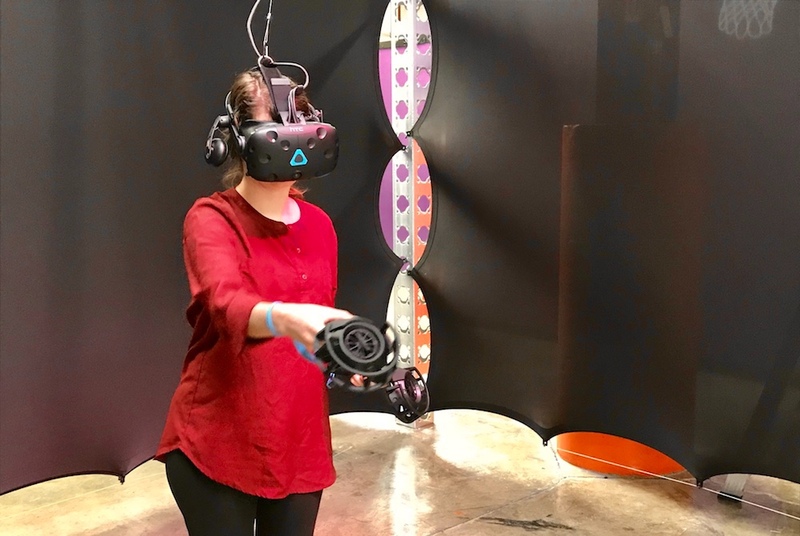 Altitude Trampoline Park is expanding its horizons — and yours when you put on a virtual reality headset at the new APEX Virtual Reality gaming area within the park. The six-pod gaming section opens March 15 at 6 p.m. and players can try their hand at a variety of different games, including a golf, archery, a virtual arcade, zombie challenge and more. There's even a Google Earth option where players can travel to different cities across the globe and "stand" in the streets. "The trampoline industry is continuing to evolve and what we’re seeing is that you’re going to need more than trampolines to compete (in the industry), whether that’s physical activity attractions or virtual reality," said Mark McFatridge, owner of Altitude Trampoline Park. 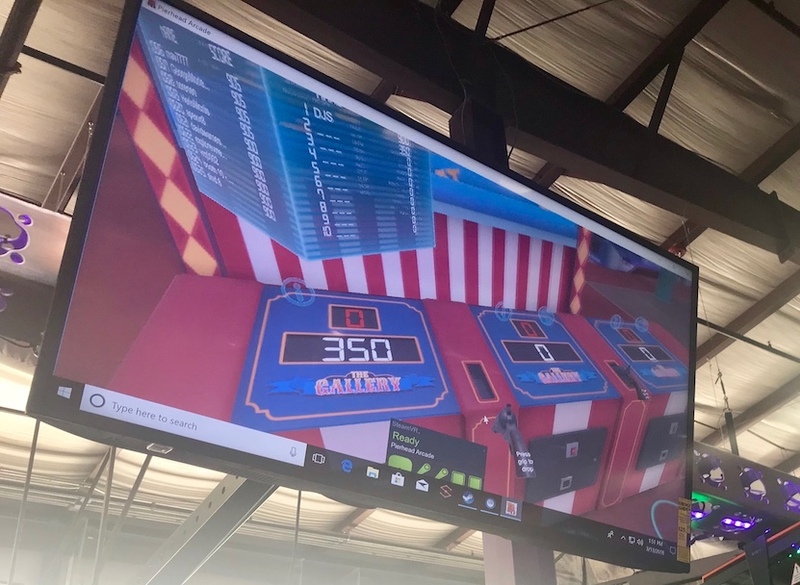 The virtual reality pods are each 10 feet by 10 feet and allow spectators to see what the player is seeing on his or her headset on a TV mounted above the pod. The experience can take several minutes to get used to, but games at beginning, intermediate and advanced levels allow players to choose where they feel comfortable. McFatridge reccomends that players are at least 8 years old and 48 inches tall. Users under age 13 require a signed parental form and must be accompanied by an adult. Check out the video below to get a better idea of what it looks like to try out a virtual reality game. APEX plans to add games and adjust what is available for players as they receive comments and suggestions from users. 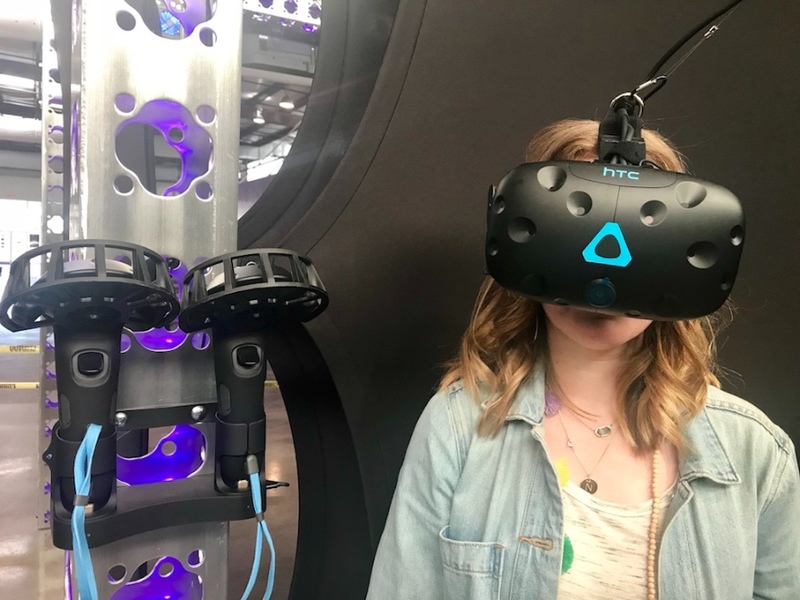 The virtual reality experience is designed to be enjoyable for gamers and non-gamers alike and there are also multi-player games that people can play together from two different pods. Players who are prone to motion sickness may experience symptoms during virtual reality play, but the variety of game options may provide choices that minimize those effects. If you do begin to feel dizzy or sick, make sure to let a staff member know. The pods are rented out on a timed basis and are $15 for 15 minutes, $25 for 30 minutes, $35 for one hour and $55 for two hours. There is no limit to the number of players who can use a pod (only one person may play at a time), but the suggested cap is four players per pod. For more information on APEX Virtual Reality, visit the Facebook page or website. The area is open from 10 a.m.-9 p.m. Monday-Thursday, 10 a.m.-10 p.m. Friday, 9 a.m.-10 p.m. Saturday and noon-8 p.m. Sunday. 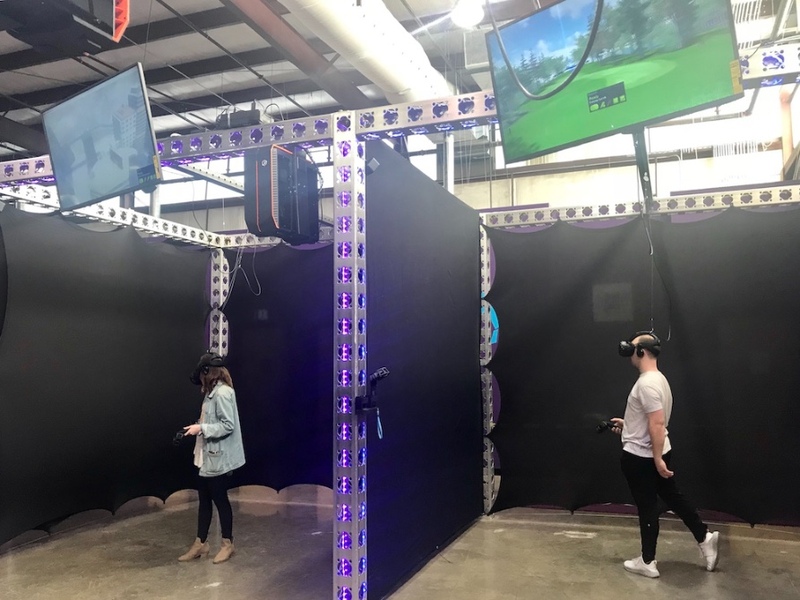 Admission to the trampoline park area is separate from APEX Virtual Reality pod rentals.